Last week I started the 5:2 diet after watching the Horizon documentary on BBC2 called Eat, Fast and Live Longer. Michael Mosley set himself a challenge; live longer, stay younger and lose weight. The idea was to 'fast' for 2 days every week and live a normal lifestyle for the other days. However, fasting doesn't mean eating nothing. Men can have 600 calories a day and women are allowed 500. Sounds great! I decided to try the diet, not only to lose weight but to see if I have the willpower to survive on 500 calories per day. I approached week one with a 'lunch only' rule. A big lunch which should last me through the evening. I also did two consecutive fast days. My main concern going into this challenge was maintaining a decent blood sugar level and avoiding the 'dithers'. I got a raging headache. I'm not sure if this was down to general stress or the diet. I think it was a combination of the two. Lots of people contacted me last week to say they were giving it a go. Let me know how you got on! My husband lost too much weight, and has now decided to do one fast day this week. So, here's the meal plan! 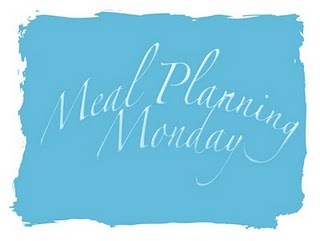 Monday: Fast day - food spread throughout the day. Chicken sandwich on brown bread for lunch and a bowl of carrot and coriander soup with a seeded roll for tea. Total 465 calories. Tuesday: Normal day - sandwich for lunch and chargrilled chicken and vegetables for tea. Wednesday: Normal day - buffet at work for lunch and home made corned beef hash for tea. Thursday: Fast day - food spread throughout the day. Vegetable soup for lunch and a tortilla with peri peri chicken and refried beans for tea. Total 455 calories. Weekend: Normal days - food festival. Say no more. Watch the documentary on iPlayer here. Please note: I am following this diet because I saw the Horizon documentary. I am not qualified to advise others on dietary requirements. This diet is not suitable for everyone. If you have any questions, please speak to your GP. 2lbs is fantastic! Well done. And the food you're eating on fast days sounds really yummy as well. Anyway, headache and thirst suggest you weren't drinking enough. Make sure you drink plenty, that might help you. The Great British Bake Off is BACK! DollyBakes by Rachel McGrath is licensed under a Creative Commons Attribution-NonCommercial-NoDerivs 3.0 Unported License. Based on a work at http://www.dollybakes.co.uk/. Permissions beyond the scope of this license may be available at http://www.dollybakes.co.uk/. Copyright Rachel Burns 2012, 2013, 2014, 2015, 2016, 2017, 2018. Powered by Blogger.